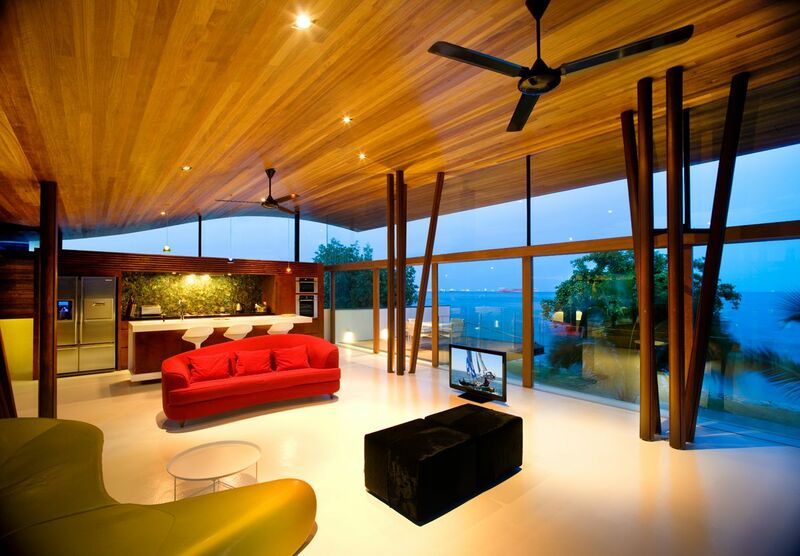 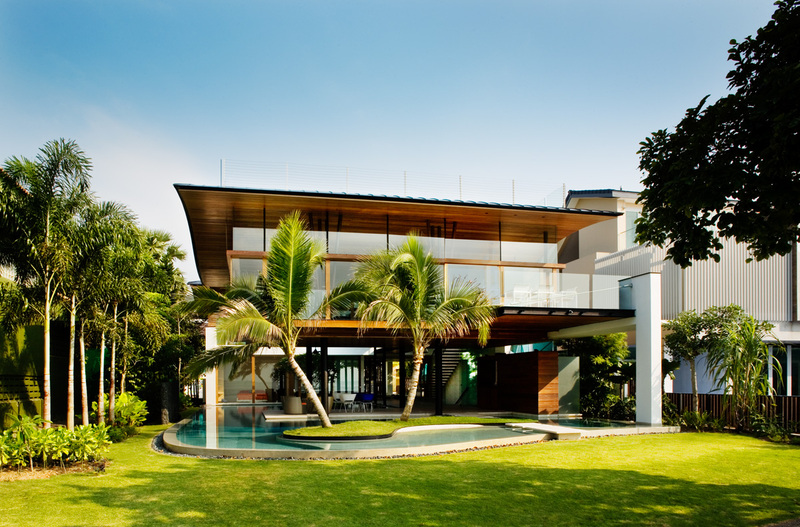 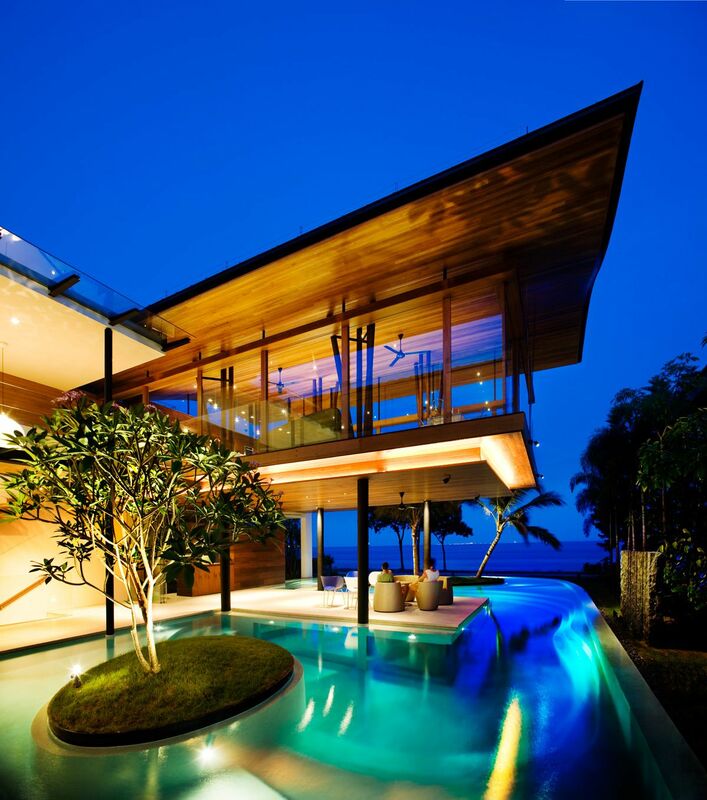 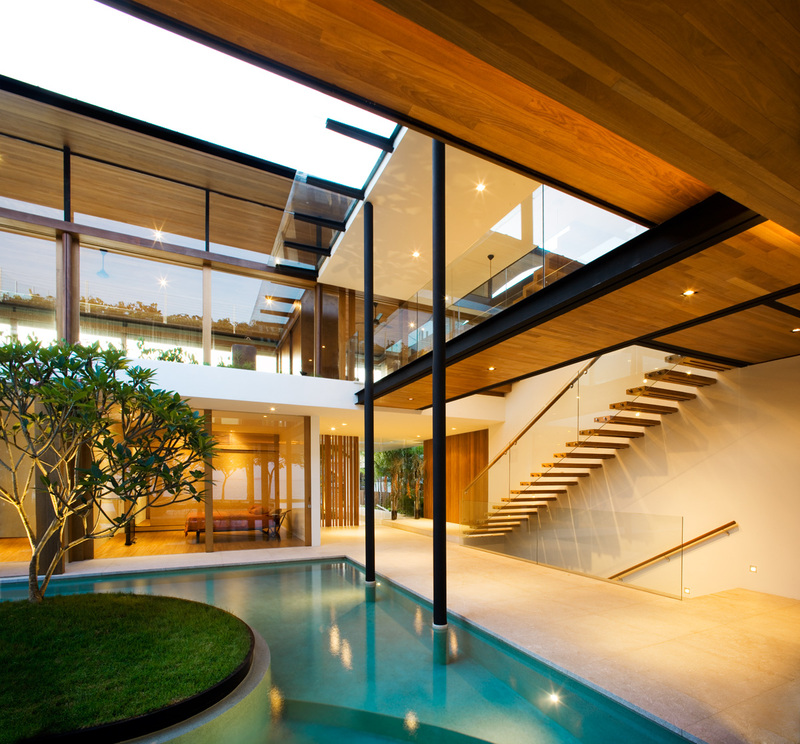 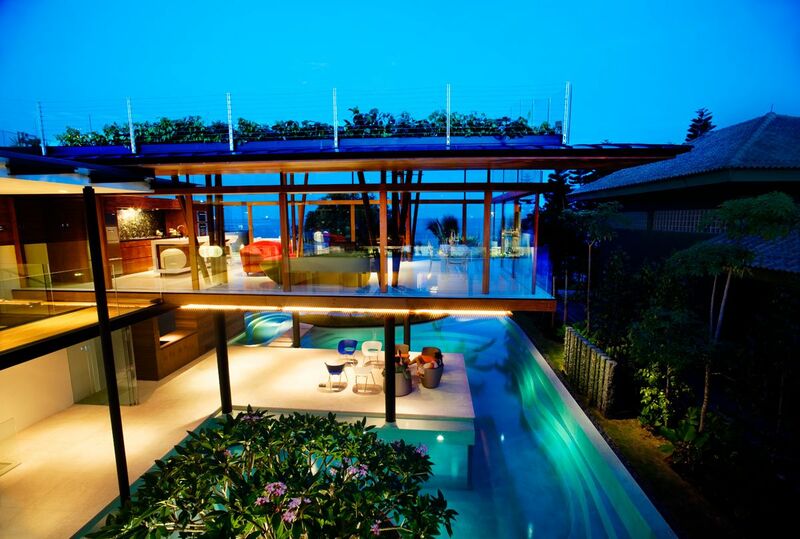 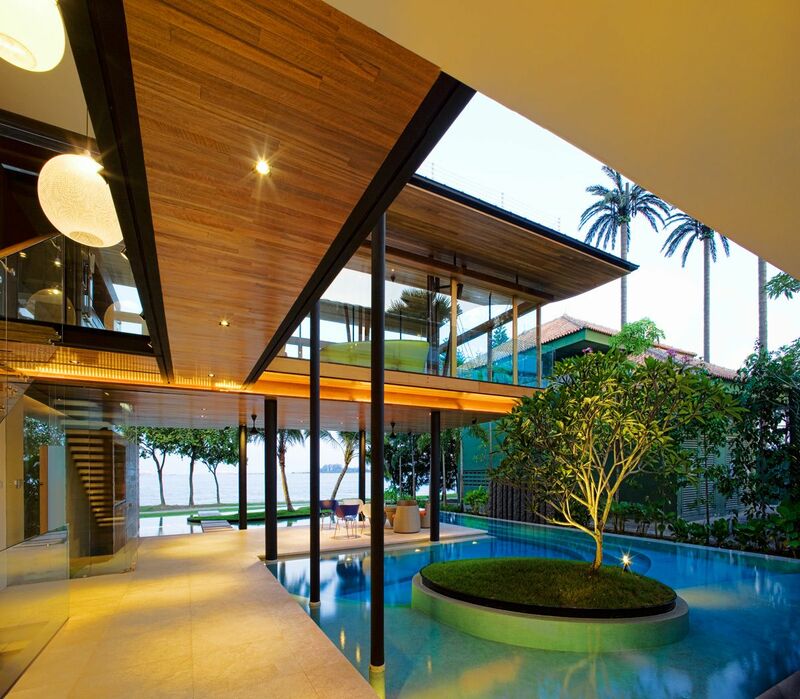 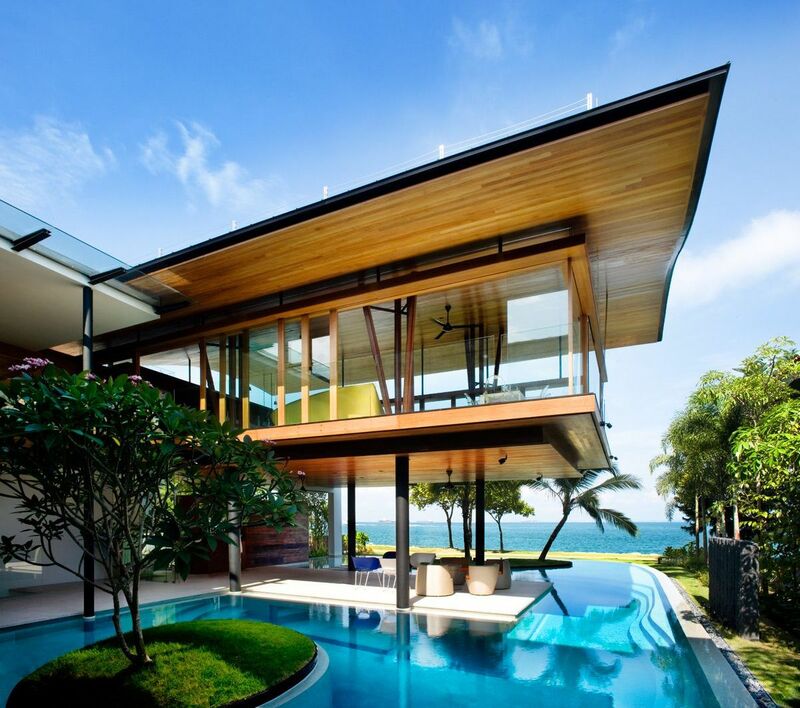 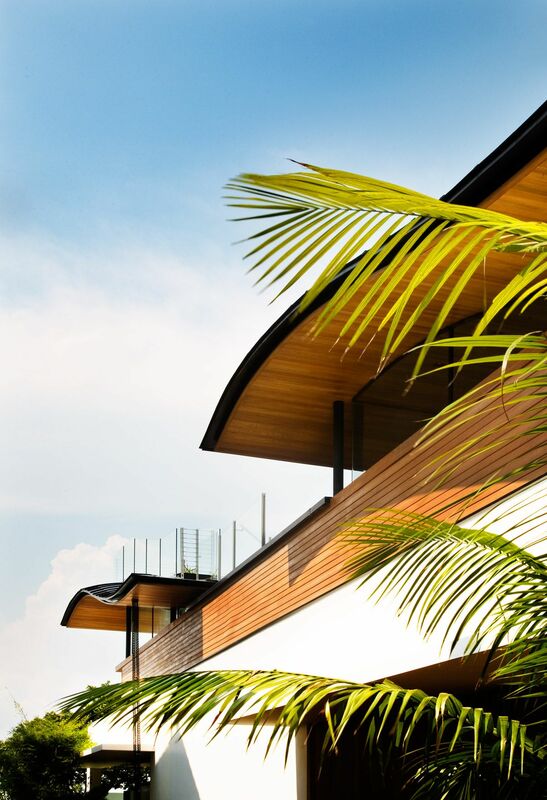 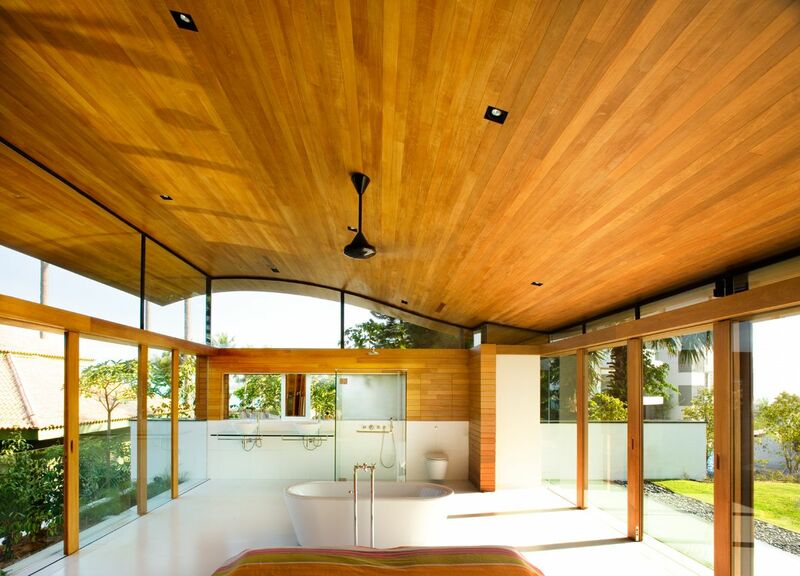 The Fish House, located in Singapore, was designed by Guz Architects. 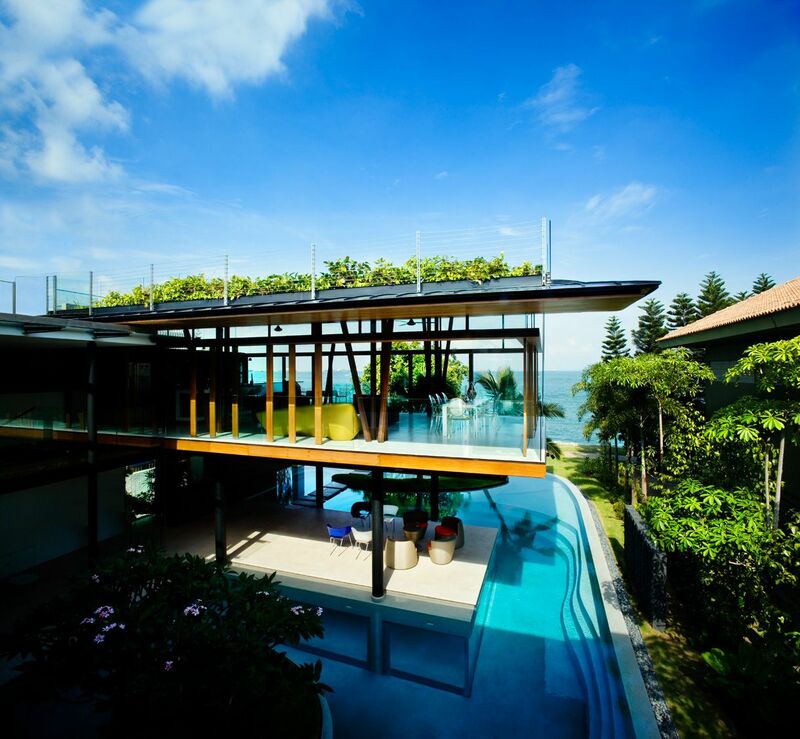 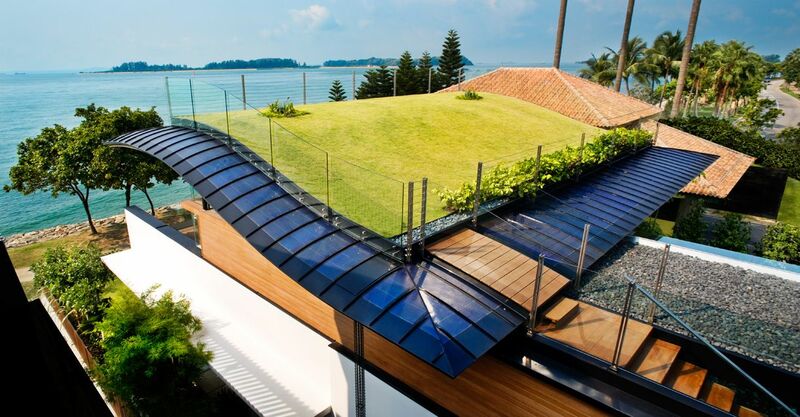 Singapore is well known for its hot and humid climate: that’s why this luxury residence (5,800 sq ft) features natural ventilation, a green roof and large windows. 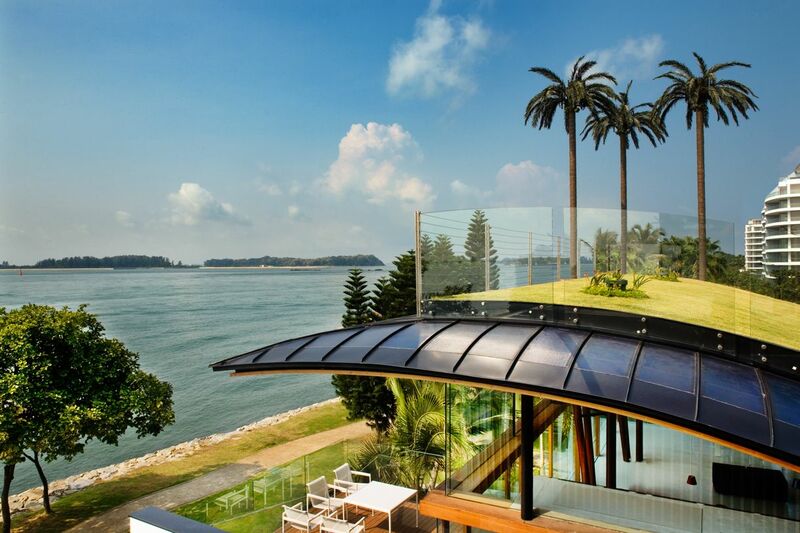 From its amazing views to the ocean to its stunning James Bond glass media room in the basement, this residence has it all! 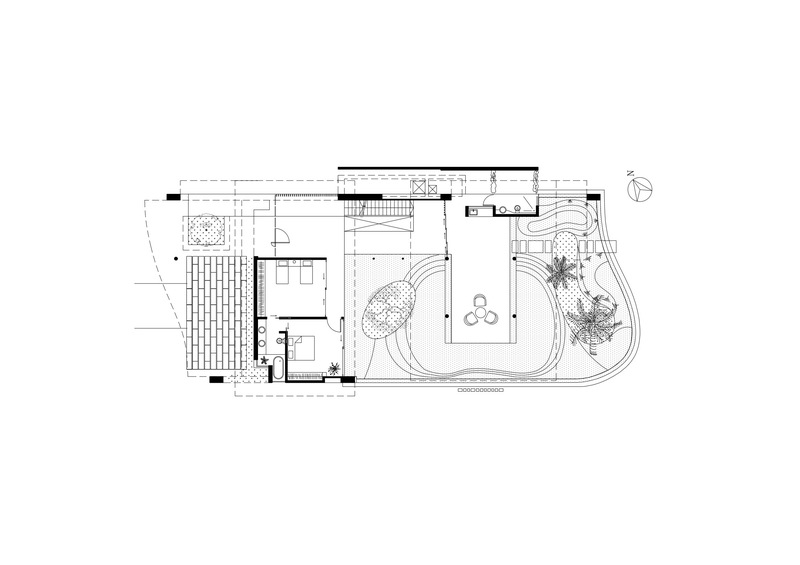 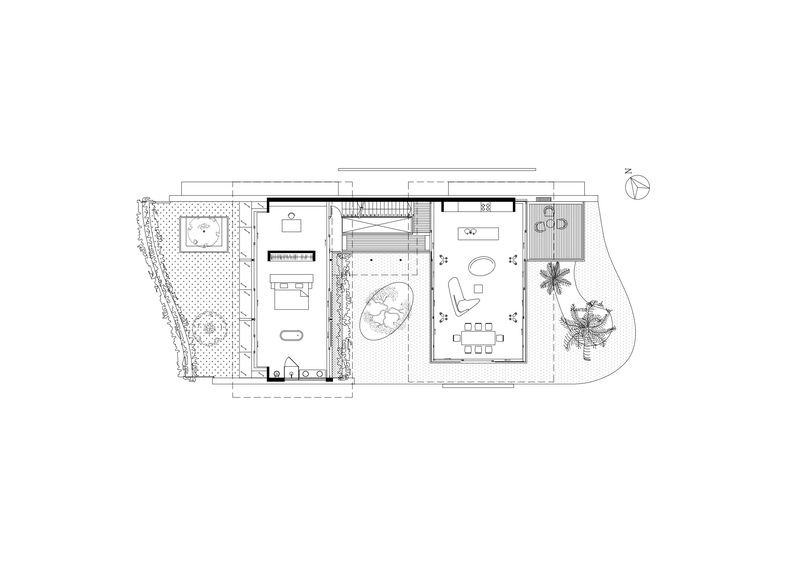 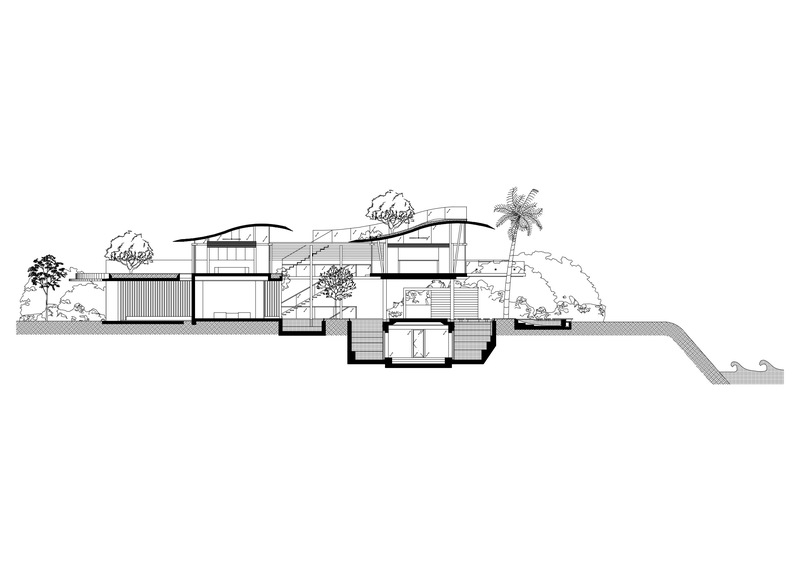 “The main design concept is to create a house which has close relationship with nature and this is achieved by having a swimming-pool linking the house with the landscape and ultimately visual connections with the sea. 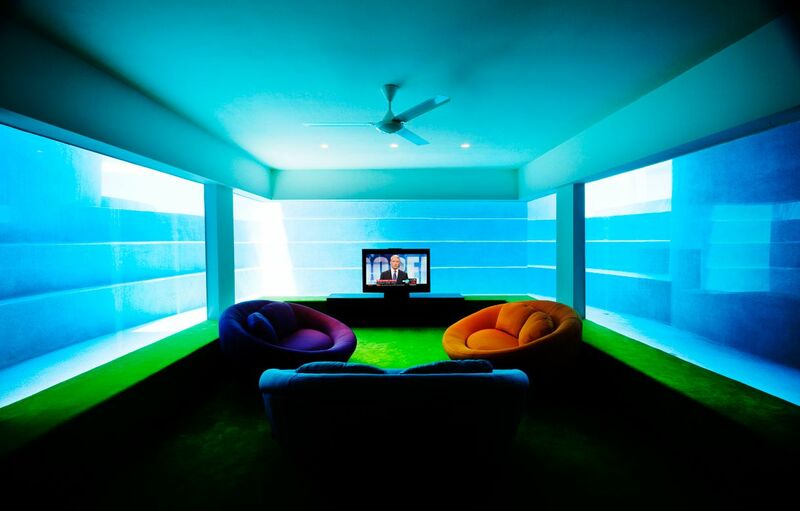 The idea of connection is reinforced by having the basement level media-room with a u-shaped acrylic window which allows diffuse natural light in and also views out into the pool. 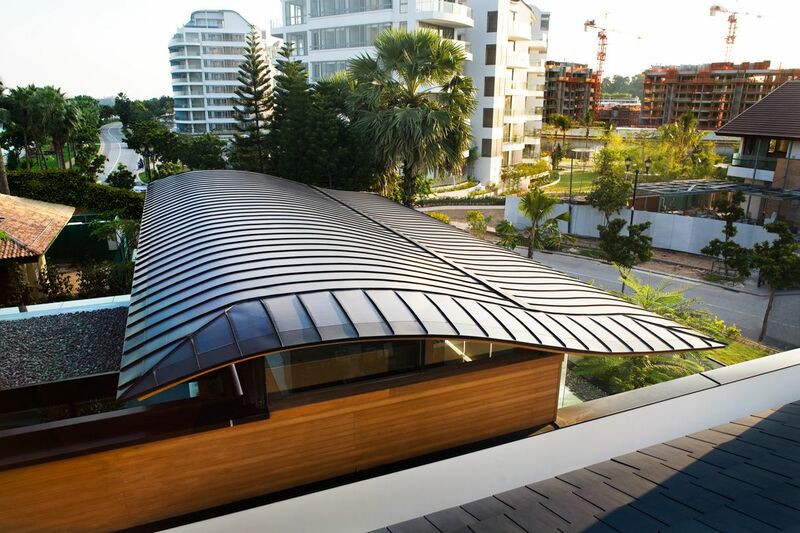 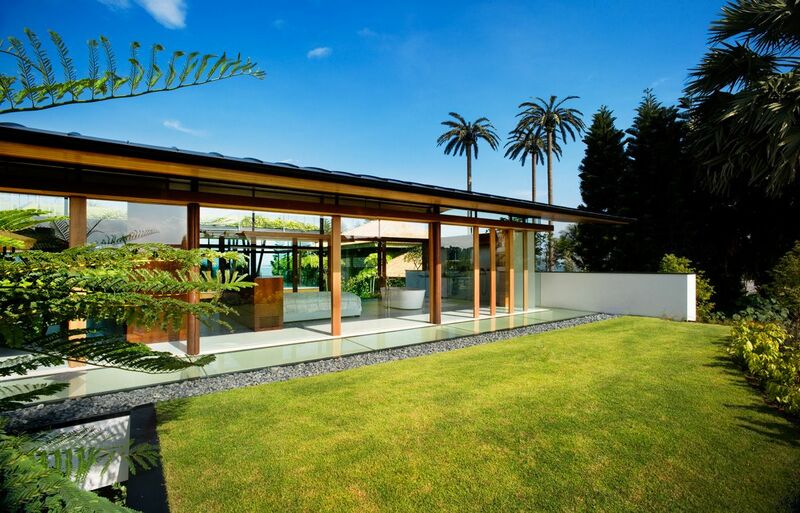 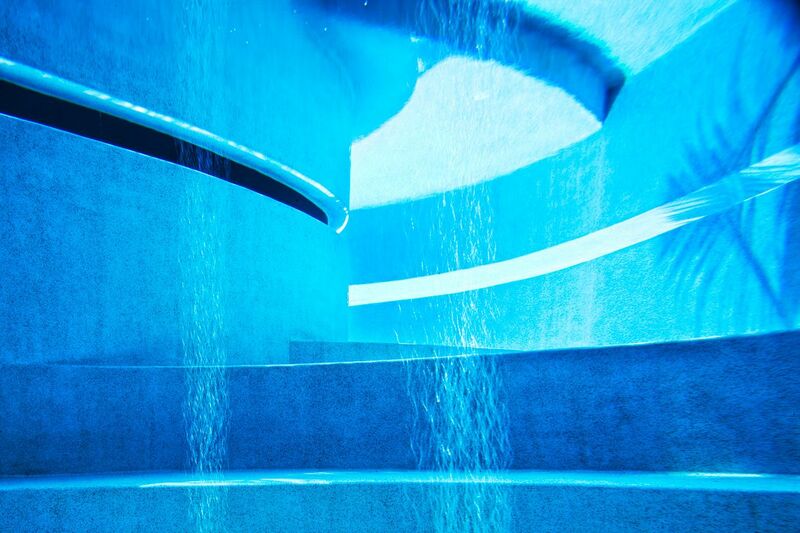 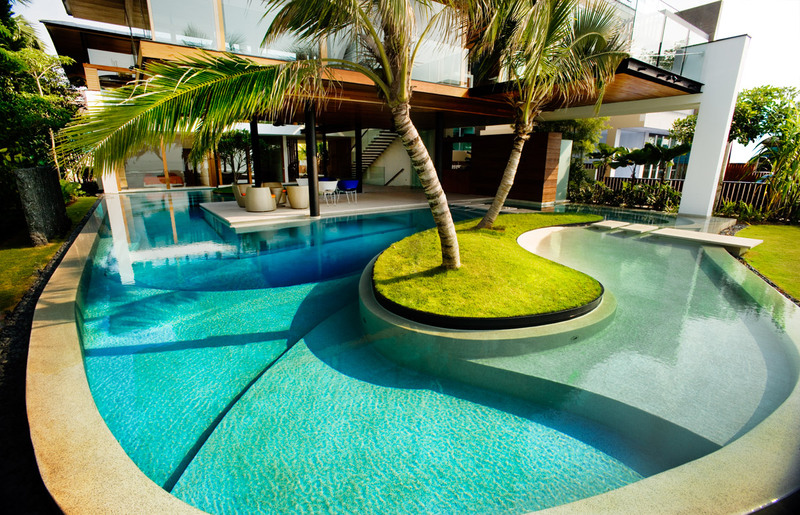 The curved roofs, which symbolizing the sea waves, also emphasize the idea of the nearby sea. 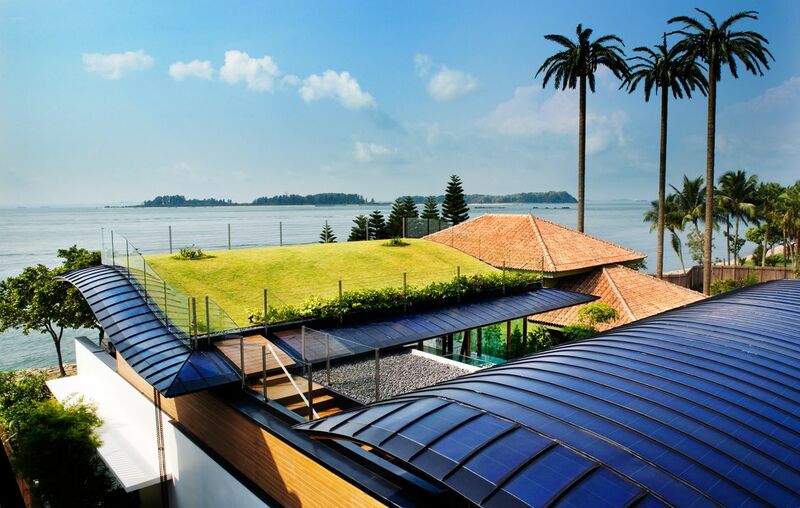 These are almost totally covered with thin bendable photovoltaic panels supplying enough energy to the house, while the remaining area is used as a green roof giving residents some outdoor leisure spaces.